Help!! I have a bunch of peppers that I want to can...I have the time, the recipe, the vineger, the jars and the desire...just don't know how?????? A few notes for your edification: The heat of the peppers determines the heat of the finished product. Only use pickling salt. Any other salt contains additives that will cloud the vinegar brine. After the peppers have been used, try sprinkling the vinegar brine on cooked greens, for an authentic Southern treat. 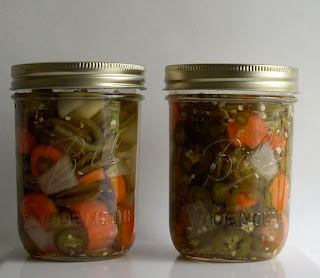 As with all canned pickled, these are best after they sit and mellow for a couple of weeks. Then again, aren't we all at our best after a proper mellowing? Mix together peppers, onions and carrots. In large pot, pour boil vinegar, water and salt. Add cilantro and garlic. Bring to boil. Reduce heat, cover and let simmer 15 minutes. Strain out cilantro and garlic. Return to pot and bring back up to boil. 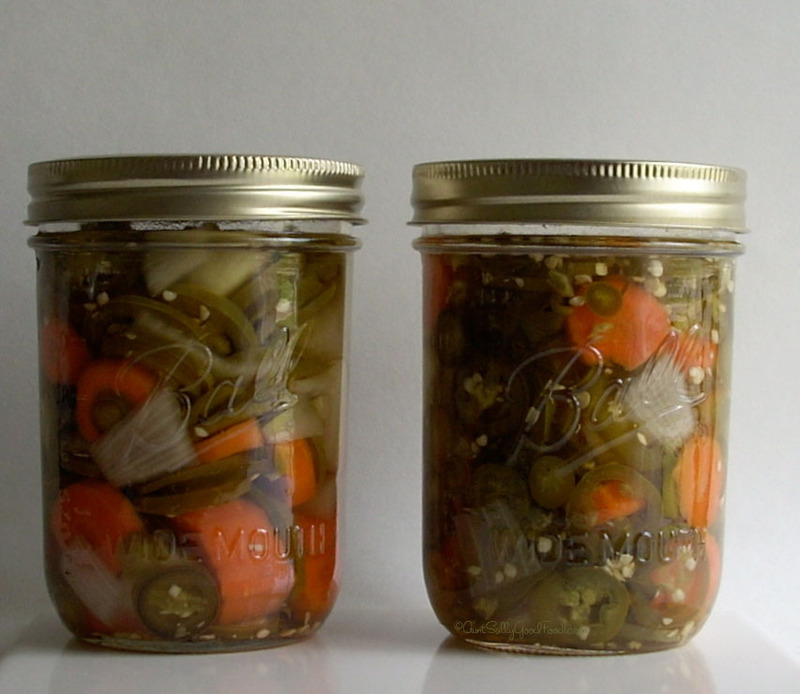 Put vegetables in sterilized pint jars. Pour strained vinegar brine over vegetable. A sprig of cilantro may be added to each jar. Process 15 minutes in boiling water bath. Makes about 12 pints. OMG! Never thought of that! Thanks for the tip. I'll bet it'll be good in a martini, too. I shall experiment and post results. Oh, the sacrifices I make in the name of nummers-ness.